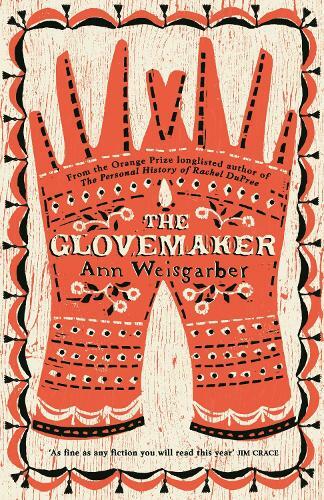 From the critically acclaimed author of The Personal History of Rachel DuPree comes The Glovemaker - a stunning historical novel for fans of Cold Mountain. For almost four years, men came to my cabin carrying trouble on their backs, each one haunted and looking over his shoulder . . . They showed up during the spring, they appeared in the summer and early fall. But never now, never in January . . .
Winter, 1888. In the inhospitable lands of Utah Territory, glovemaker Deborah Tyler awaits her husband's return home after months working across the state. But as his due date comes and goes without a word, Deborah starts to fear the worst. Facing a future alone, matters are only compounded when a desperate stranger arrives on her doorstep. And with him, trouble. For although the man claims to just need a place to rest for the night, he wouldn't be here in the bitter month of January if he wasn't on the run. And where he goes, lawmen are sure to follow. Lawmen who wouldn't think twice about burning Deborah's home to the ground if they thought she'd helped their fugitive. With her husband's absence felt stronger by the minute, Deborah must make a decision. A decision that will change her life forever . . .
build tension as deftly as any action sequence. Highly recommend.